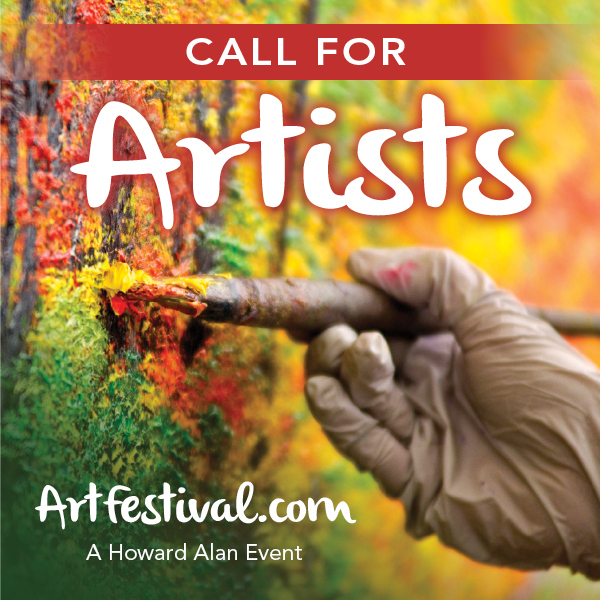 All Howard Alan Events Art Festival Applications are available through ZAPPLICATION. Howard Alan Events is a proud, paperless company! For questions about Zapplication, please call 888-562-7232. PHOTOS OF WORK: 3 photos of your work. Please make sure these are good quality images, as you will be judged on what can be seen. DISPLAY PHOTO: 1 photo of your OUTDOOR display; indoor images are not acceptable. We must see your entire display including your white 10'x10' tent. If you are renting a tent from The Tent Guys, you will still need to set up a 10x10 display to show us how you will display your work within the white tent. The Tent Guys can be reached at 561-374-1783 or thetentguys@att.net. JURY FEES (non-refundable): Application processing fee/jury fee per each art show is $25 for all shows, except Alexandria and Colorado shows ($35 each). SHOW FEES: Show fees are listed on Zapp. You can also contact our offices via e-mail or phone for the show fee of each show. Prices vary. Please note that show fees are paid after you receive your invitation to the show. Your show fee/deposit indicates that you are accepting the invitation and being placed into the show. We must receive either the deposit or show fee right away TO SECURE YOUR SPACE IN THE SHOW after you receive your invitation. RUSH/LATE FEES: Howard Alan Events has imposed rush/late fees on balances and applications RECEIVED within 30 days of the show. For Art Shows, balances and/or applications must be RECEIVED in our offices at least 30 days prior to the event or a $50.00 rush/late eee will apply for each show. Please keep in mind this late fee will be imposed for EACH show that you apply to and/or for each balance payment received within 30 days of the show and in addition to any applicable jury fees and full show fees. This fee will be due prior to your participation in the show. If you are applying for a show past the 30 day cut-off date, please include the $50 late fee with the show fee. ARTIST STATEMENTS: We want to know about you and your work. Please include an artist statement on all zapplication applications. DEPOSITS: For most shows, a $50 deposit may be made in lieu of the full booth fee ONLY if the event is more than 30 days away. CONFIRMATIONS: If you are accepted, additional show information such as lodging, parking, set-up times, directions, etc. will be included in your confirmation. This will be emailed to you upon receipt of your deposit or booth fee. Please review this information carefully as it includes important event details. CANCELLATIONS: You are responsible for FULL PAYMENT of the show fee if cancellation is made for any reason less than 60 days prior to an ART show. Cancellations will be due in writing (email preferred) in our office AT LEAST 60 days prior to the show date. If only the deposit was paid, the balance must be paid, prior to applying for another show. We understand that problems arise and everyone cancels for reasons beyond their control; however, please understand there are NO EXCEPTIONS to this rule. BALANCES: If you submit a deposit, the balance will be due in our office AT LEAST 30 days prior to the show date. The due date is clearly stated in red in your show confirmation document and on your invoice (last page of the confirmation). A $50 late fee will apply for each show balance received less than 30 days prior to the event. E-MAIL: Please note that invitations, waitlist notifications, confirmations, important updates, and announcements will be sent to you via email. Be sure to check your email account regularly. JURY FEES: (Application fees) are non-refundable once received on Zapplication. BALANCES/PAYMENTS: When paying your balance, please note the name of the festival on your check or credit card form to assure payment is applied to the proper show. Also be sure to include your full name on the check to avoid confusion. Our database queries your last name, then first, not company name. We accept checks, cashier’s checks, money orders, cash or credit cards (Visa, Master Card, Discover and American Express). Make all checks, money orders and cashier’s checks payable to Howard Alan Events for Art Shows. FIRST TIME EXHIBITORS: If you are a first time exhibitor or have not done a show with Howard Alan Events in at least 2 years and are applying within 30 days of a show, a money order, cashier’s check, credit card or cash for all applicable fees is REQUIRED. DEADLINES: We do not have deadlines for most of our shows. Therefore, please keep in mind shows and categories may be open when you contact us, but are subject to close at any time. In order to avoid being shut out due to show closures, please submit early. We strongly recommend applying when the applications become available. We have no way of knowing when a show will close, as we receive many submissions a day that could prompt a show’s closure without anticipation. PROCESSING TIME: Please allow at least 2-4 weeks to process your zapplication from the date it is received. Please always try to apply as early as possible to make for a smooth process and to avoid late fees. WAITING LIST: Once shows are closed, applications are still accepted for the waitlist. We will contact you as early as possible IF any spaces become available. Please keep in mind that this may be as late as 2-3 days before the show. If you cannot work on short notice, the waitlist may not be the best option for you. If we call you from the waitlist to see if you would like to participate in the show, you have the option to turn us down without penalty. CREDITS/REFUNDS: WE DO NOT ISSUE REFUNDS FOR CANCELLATIONS; however, a credit (good for 2 years) will be issued if notification is made at least 60 DAYS prior to an ART show. Cancellations must be made in writing (email preferred) and received in our offices as per the dates outlined. Credits may be used towards future booth fees and expire after 2 years. Credits for HAE shows can only be used for HAE shows. WEATHER: All festivals are held outdoors and go on rain or shine. No credits or refunds will be issued if show is affected by forces of nature beyond our control. Please check our website or contact the office for updates on cancellations resulting from severe weather such as, hurricanes, tornados, flooding, etc. Please note, we will not cancel a show unless informed by state, city or local officials that it will be in the best interest of safety for all. If it looks like it is going to rain, we will not call a show prior to the event. It will be at the show coordinator’s discretion on site at the time. NO SOLICITATION - Exhibitors are present at our shows for the purpose of representing their work. For that reason, no exhibitor, or their representatives, will engage in any type of solicitation of any products, supplies, shows, etc. during the course of the show, starting at the commencement of the event and ending at the end of breakdown of the said event. The exhibitors’ role is to sell their work and not engage in any other non-related business activities during the course of the event. Failure to comply could cause possible expulsion from the show. We make every attempt to review all information contained within the pages of this website and at the time of posting all information is believed to be accurate and complete. We are not responsible for any typographical errors. If we find one to have been made, we will immediately fix as needed. Management has final rights for interpretations and disclosure and reserves the right to change any information as it becomes necessary (i.e., show venue, parking locations, additional city licenses, fees, policies, etc.). Any changes will be disclosed to parties involved as soon as they become available to us. We will make every reasonable attempt via e-mail or phone, as we feel best for confirmed parties. Thank you for adhering to all of our policies. They are in place to ensure a smooth process for all. If you have any further questions, please contact our offices. 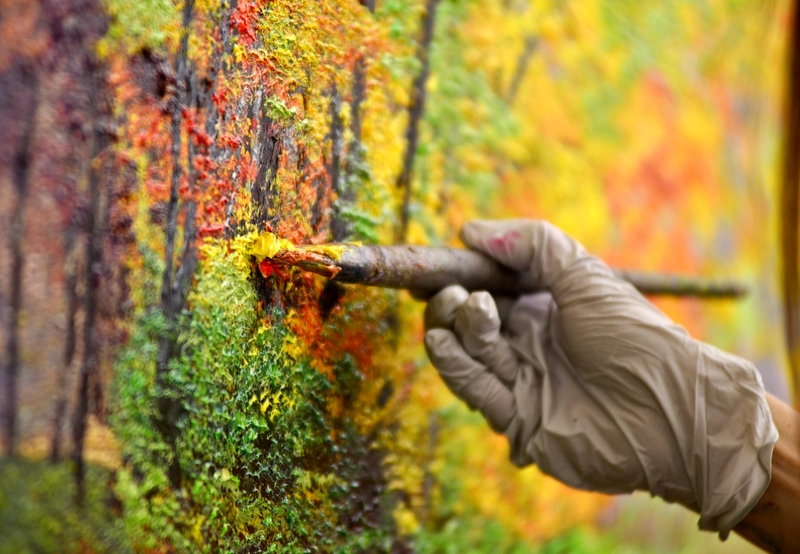 All work must be original, handcrafted, created and exhibited by the approved artist themselves. Kits, imports, and mass produced items will not be tolerated. This rule is strictly enforced. All categories shall be reviewed, juried and screened prior to your acceptance. Any media NOT approved during the application process that appears in your booth at an event will be removed. All applications require 3 photos of your work plus 1 photo of your outdoor display. We will not process your application without a photo of your outdoor display with the white 10x10 tent included in the image. INDOOR displays WILL NOT be accepted. Displays must be professional and aesthetically pleasing. All tents MUST be white and all racks MUST be covered. Handwritten signs and sale signs are strictly prohibited. Ribbons won from other shows may NOT be displayed. Please visit our website, www.ArtFestival.com to view our display requirements and tips. The goal is to make your tent look like a “mini” art gallery. Exhibitors will leave their exhibit space clean after packing up at break down. If your space is not clean after an event, you may be expelled from future shows. Jury Fees (Application fees) must be paid with a separate check from show fees. You may include all jury fees on one check, but show fees MUST be on separate checks. The jury fee is a $25 non-refundable application fee; the jury fee for the Colorado and Alexandria shows and is a $35 non-refundable application fee. For most shows, a $50 deposit may be made in lieu of the full booth fee ONLY if the event is 30 days away or more. Click here for the credit card authorization form. If you are accepted into a show, the balance must be paid NO LATER than 30 days before the event or a $50 late fee will be applied to the balance. If you are applying for a show past the 30 day cut-off date, please include the $50 late fee with the show fee. It is VERY important that you include the event name and date on your checks to avoid miscommunication. First Time Exhibitors: If you are applying within 30 days of an event, a credit card, money order, or cashiers check is required for the booth fee. For shows without deadlines, please keep in mind that the show(s) may be open when you contact us, but are subject to close at any time. To avoid being closed out of a show, please submit early. Applying when the applications first become available is strongly recommended. WAITING LIST – Once placed on the waitlist, the office will contact you as soon as we have an opening in the show. If you have submitted a check and an opening does not occur, we will return your show fee check uncashed, after the event takes place. If you are called from the waitlist, there is NO penalty if you do not accept the spot and your show fee will be immediately returned to you. CANCELLATIONS – THERE ARE NO REFUNDS FOR CANCELLED SHOWS! However, a credit good for 2 years from the cancellation date will be issued to your account if you notify the office more than 60 days before the event date. The exhibitor is responsible for the entire show fee if the event is cancelled within 60 days of the show. There are NO EXCEPTIONS to this rule! If you cancel an event within 60 days of the show date, you are liable for the show balance. You will not be able to exhibit in a future event until the show balance has been paid. All cancellations MUST be in writing (email preferred). The approved exhibitor will occupy his or her booth at all times. NO subletting or sharing of space is permitted. No representatives are allowed. Friendly pets are allowed at the shows. TAXES – Each exhibitor is responsible for collecting the state sales tax and filing a report with the local Department of Revenue. An accepted application is a commitment to display your work during ALL scheduled hours of the show. If you are not present for any part of the show, you may be expelled from future shows. Bank Fees – A $25 bank fee will be charged on all returned checks. The check amount plus the $25 fee is payable with a money order, cashier’s check or cash. The fee may be higher with international checks. TENTS – Exhibitors are responsible for making their tents sturdy against wind, rain etc. Tents MUST be manufactured of flame-retardant materials. Staking into the pavement will NOT be permitted without written permission from the show director. Howard Alan Events is not responsible for lost, damaged or stolen property. Dollies are required for set-up and breakdown for most shows! If you would like to rent a tent for an event, please contact The Tent Guys by calling 561-374-1783 or by email at thetentguys@att.net. If doing so, please make a note of this on your Zapplication so the jury is aware of why you do not have a white 10x10 tent in your display image. You MUST set-up a 10x10 space outside and show us how you plan to display your work at the show. Exhibitors will receive an ample amount of booth space, which varies depending on the venue. Exhibitors will NOT take up any additional space without first consulting with a show coordinator. ALL WORK, DISPLAY and STORAGE WILL NOT GO BEYOND THE ASSIGNED EXHIBITOR SPACE. The exhibitor’s space shall be occupied by 7:45 a.m. the morning of the show or you will be considered a “no-show” and your space will be given away with no possible refund or credit. Vehicles MUST be removed from the show area by 8:30 a.m. unless otherwise specified. Set-up and breakdown times will be strictly enforced. Please see show confirmation for details. The information found on the Art Space Numbers page on our website the Thursday prior to the show supercedes the information on your confirmation. Be sure to check for updated information. If you do not have internet access, please contact the office for your space number. Management reserves the right to make final interpretations of all rules and regulations. The undersigned does hereby discharge, release and hold harmless, HOWARD ALAN EVENTS & AMERICAN CRAFT ENDEAVORS. (all cities, property owners, and associations) and all co-sponsors from any and all manner of action, suits, damages, or claims whatsoever arising from any loss or damages or claims, to the person or property of the undersigned while in possession or under the supervision of the sponsors during the Festival, and hereby consents to enforcement of all rules of this event. Furthermore, the undersigned artist hereby certifies that all display work is handcrafted and created by the show participant. Participant understands that any mass-produced item on display can cause expulsion from the show or future shows. There are no rain dates. There will be no refunds or credits if a show is cancelled due to rain, floods, hurricanes, or any other forces of nature after logistics and advertising have been arranged! There will be no refunds on artist cancellations. Credit good for 2 years from cancellation date will be issued if Howard Alan Events is notified in writing at least (60) SIXTY days prior to an event. Exhibitors are responsible for full payment of show fee if cancelled less than 60 days prior to event. MANAGEMENT RESERVES THE RIGHT TO DISQUALIFY ANY EXHIBITOR CAUSING ANY PROBLEMS TO FELLOW EXHIBITORS OR MANAGEMENT. Failure to comply with the rules and regulations set forth on the reverse side of this General Release may result in expulsion from any and/or all events. Management reserves the right to make final interpretation of all rules. The applicant understands that if this application is not accepted, all fees and photos will be returned by mail, with the exception of the Application Processing Fee. If accepted, HAE/ACE has your permission to reproduce artwork, through the photographs you have submitted, for the purpose of advertising and marketing the Festival. HAE/ACE also has your permission to publish photographs or videos taken of your booth, work and photos of you during the Festival for purposes related to promotion of the Festival, past or future.